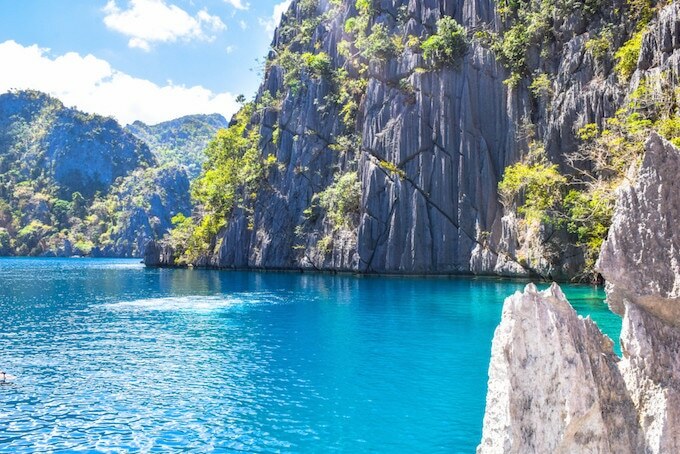 The Philippines is one of the most beautiful destinations for people all over the world to visit. From picturesque places to historical landmarks and delicious food, you’ll definitely find the best of Asia here. If you’re new to the country and want to explore, it’s best to prepare and read up. To help you out, we give you the travel guide to Manila for Muslims. 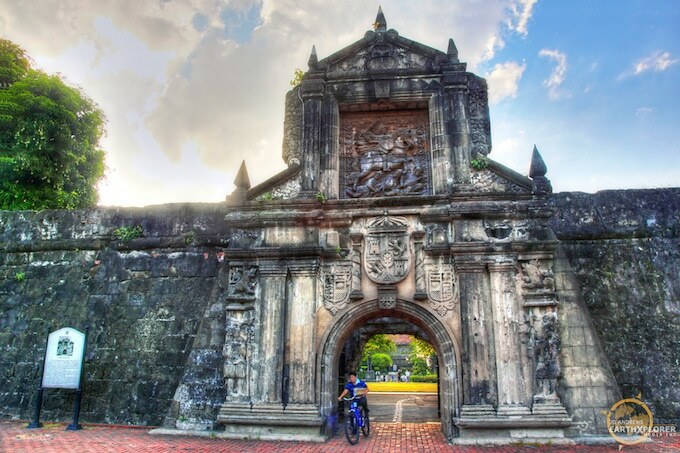 Intramuros Park is one of the most popular historical landmarks in Manila. This is one of the battlefields during World Wars, with many fighting for the sake of their country. In this park, you’ll find ruins and other things found from the past, helping you learn more about the history of colonization in the Philippines. Plus, you will have tour guides who are fluent in English to lead the way! Known as the biggest mall in the whole of Asia, this will take a whole day to explore! What’s great about the mall is that it’s filled with everything you need, as well as a mini amusement park for the children to have fun in. Nearby are a mosque and hotel accommodations. The Manila Golden Mosque and Cultural Center (also called Masjid Al-Dahab) found in Quiapo is just a few kilometers away. Not only will you be able to pray and meet the local Muslims, but you will also love the arts center and beautiful architecture the largest mosque in Metro Manila has. 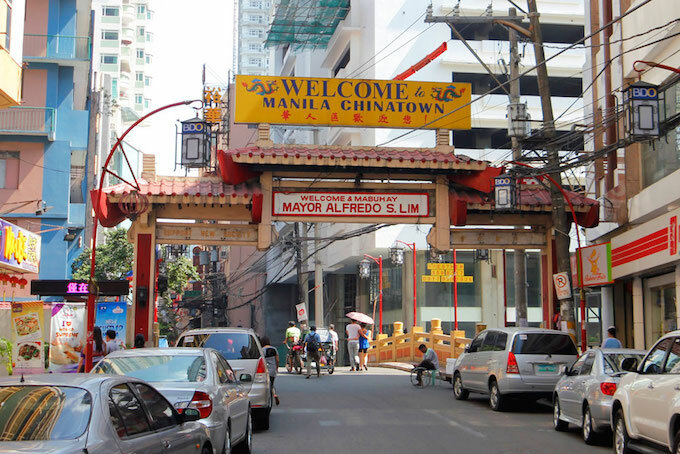 Binondo is the Chinatown of the Philippines, and you’ll definitely feel as if you were in China. The locals here even know how to speak Chinese! From delicious Chinese cuisine to unique souvenirs, you’ll find a taste of China and have fun exploring the little town. Walk around the whole day and see the sights or shop! Sofitel is found in the heart of Manila, known for its picturesque views of Manila Bay. They also serve the best buffets. Their rooms and service match the beauty of the hotel as well, easily making it one of the poshest and classy hotels. You’ll definitely enjoy a memorable stay here in Sofitel. 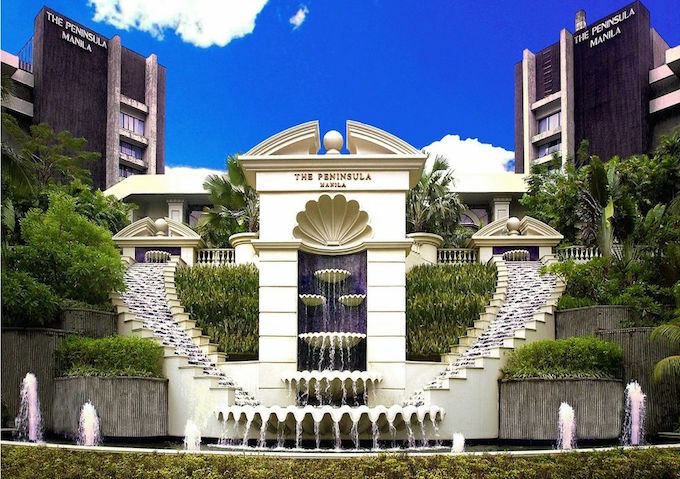 Peninsula is one of the most luxurious hotels found in Makati. When you step into the lobby, you are greeted by handsome security and walk into one of the grandest ballroom-looking rooms. They have a bakery and a few restaurants nearby to choose from. They all serve Halal food upon request, which is what makes their service top notch. You can also choose to visit Al Batra in Makati Avenue, or Gilak By Hossein in Greenbelt 3, Makati. The Philippines is known for its low cost of living, making it ideal for Muslim tourists because of its affordability. The currency used in this city is Peso. You’ll be able to find money exchange centers around Manila easily – they are usually found in the malls. Getting around the city isn’t the most difficult, but it can be stressful because of the traffic. If you plan on using public transportation to “try things out”, then be wary of your items and get ready to brace the heat, especially when you are out exploring the city in the afternoon. Taking an Uber or Grab is one of the most popular and convenient ways to get around the city. You save time parking and the hassle of driving yourself. You can rent a car for a short period of time and have the freedom of roaming around wherever you want to go. With the help of Waze, you can get anywhere with ease. Just remember to drive carefully when you are driving in the busy streets! 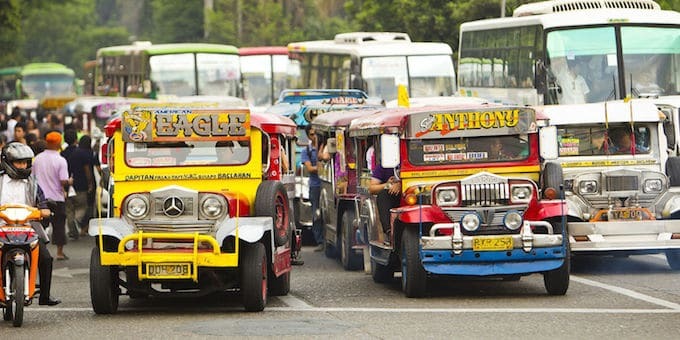 There are different modes of public transportation, such as the jeepney, bus, or a tricycle. They take you to various landmarks around the city, usually near malls for convenience. Buses are great, as many of them have A/C and offer more comfort. You can also choose to take the train, as it has stops near malls and is faster than traveling by bus or jeep. Manila has a ton of climbing centers and trampoline parks around Mandaluyong City if you want a bit of thrill! They even have trapeze classes in Bonifacio City if you want to learn a whole new skill. Ace Water Spa located in Kapitolyo, Pasig is one of the most relaxing spas you can unwind in. With many facilities and accommodating staff, you’ll find your inner peace and have the rest you need. There are tons of kid-friendly places you and your children will love. 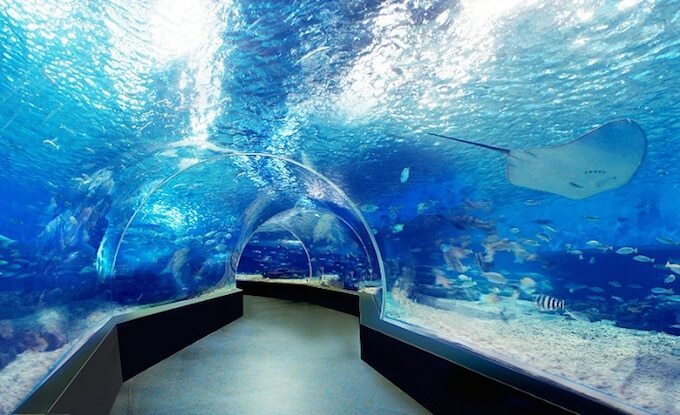 There is the Manila Ocean Park or Star City, both found in Manila. These parks will have your child enjoy the whole trip without getting bored or antsy. Whether you brought friends along with you or you are traveling alone, you’ll find a ton of awesome cafes for a nice catch-up session. For example, you can find a lot of cute and themed cafes in Quezon City and Manila. There are also playgrounds for grownups you may want to check out, like the Ball Pit in Makati! You’ll have the best time with your friends as you jump into a sea of plastic balls and drinking coffee during break time. If you’re a creative soul who wants to experience the local culture or ignite your passion, then there is the National Museum of the Philippines. 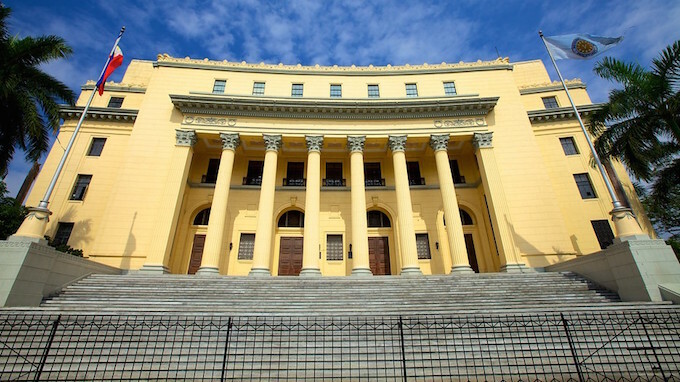 You can even visit the nearby historical landmarks around Manila, starting with Rizal Park. Want to share your creativity with others? You can find spoken word sessions or listen to local bands play in small hole-in-the-walls around Mandaluyong or Quezon City. If you’re looking for Middle Eastern cuisine or a good cup of coffee, then this cafe is a must-try. They serve breakfast, lunch, dinner, and also offer pastries or coffee. They’re also open 24 hours! For those who love Malaysian cuisine, then Pamanganan has got you covered. They serve a wide range of popular Malaysian dishes, from fried rice to a halal pizza! It’s a simple place, but definitely somewhere you can get your fix of Malaysian cuisine. 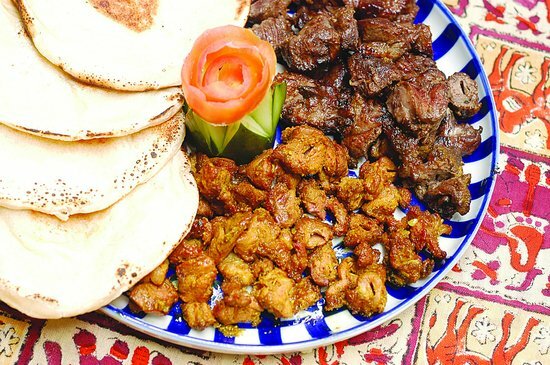 If you want Middle Eastern Cuisine, then Mandy House would be perfect. They have a variety of dishes to choose from, all of them being delicious! Start off with the hummus with bread, then get the bestseller Magloubeh Lamb rice dish! A big plus is that they are open 24 hours. Always be aware and keep your guard up. No matter where you are, you may fall victim to a scam or pickpocketers. It’s best to stay in popular areas with fewer crowds but good security. Wear your most comfortable walking shoes, as you may end up walking just about everywhere, especially if you’re looking into food trips or historical walks. You may want to pack in a first aid kit with small towels and a portable fan. It gets hot, and the blisters or small accidents you go through isn’t nice to experience. Be courteous and polite to fellow tourists or locals. While you want to be very nice, also reserve a bit and avoid being too open until you trust the person you’re talking with. Remember to keep the area clean. Respect the areas you visit and throw your trash in the proper areas. Plan ahead and enjoy! Be open to some changes in your itinerary and just go with the flow if that happens. Travel to Manila and enjoy the beautiful, Muslim-friendly city! 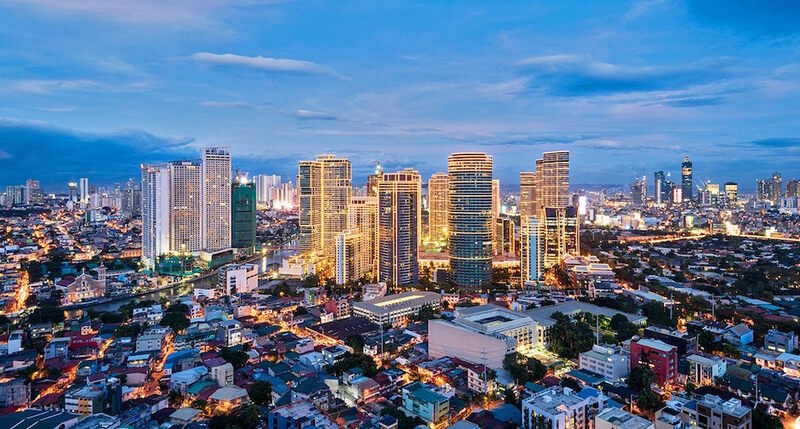 Manila is the capital city of the Philippines, known for its busy city life. While you may think it’s all city and nothing spectacular, you’ll be surprised by the many activities and places you can visit. From amusement parks to Halal food trips, you have the freedom to walk around and choose where to go. It isn’t difficult roaming around the Manila as a Muslim, as long as you know where to go. Just like traveling to other countries, planning and reading up on places to visit is important. Hopefully, this travel guide to Manila for Muslims have helped you plan your trip efficiently and with ease. So what are you waiting for? If you’re planning on taking a trip to Manila, then follow this guide. You’ll definitely have a safe and enjoyable trip.